Every once in a while a product comes along that makes you wonder how you lived without it. 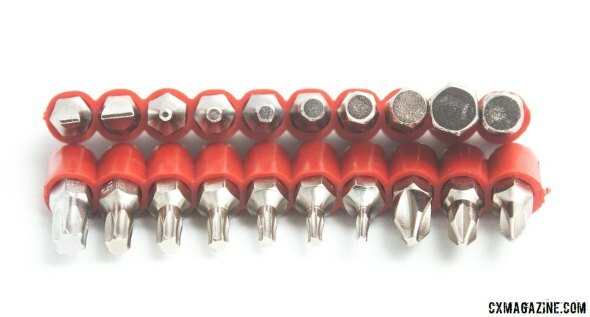 I have two sets of full Allen keys: one “standard” and one with hex ball heads. I have a ratchet and power drill in the toolbox, and probably a dozen multi-tools scattered around the apartment and garage. Still, more often than not, I find myself struggling to find the right tool to do a job efficiently. 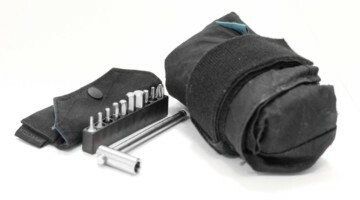 If I do find the tool, tightening a bolt typically involves far too many swings of the tool, or the tool doesn’t fit in the right space, or the other tools in a multi-tool are flopping around. Prestacycle, the company that brought you the cycling-specific inflator and pressure regulator, has put its energy towards making the lives of home mechanics like me easier by providing a highly functional multi-tool that aims to make wrenching easier, faster and safer. It will extend the life of your bolts because you’re not repeatedly removing and reinserting the hex/Torx/screwdriver head. There’s a highly functional tire lever on the other end of the ratchet. Is there room for improvement? There might not be. In operation, it works perfectly. As long as there’s room for the ratchet handle, tightening and loosening bolts is a cinch, really. 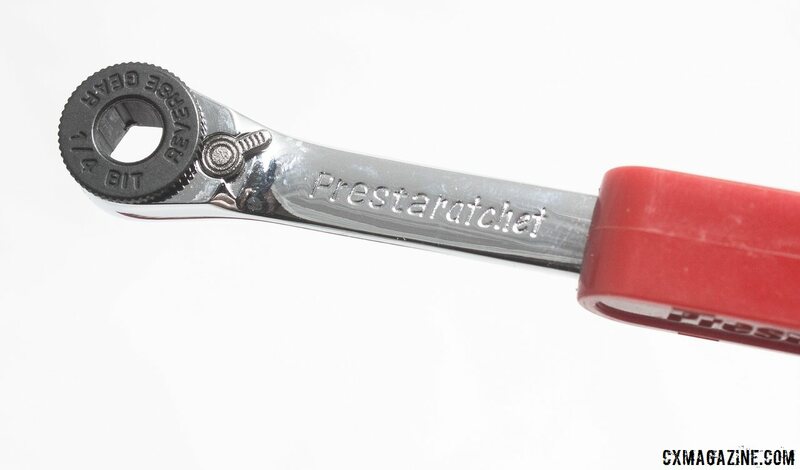 The thumbscrew really makes it easy to get going, and the ratchet helps you finish the job. 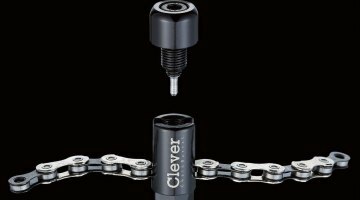 On a really stuck bolt, you might wish for a longer lever arm, but enterprising folks will be able to figure out to how to extend the lever arm with another tool. There are a few limitations to the Prestaratchet. 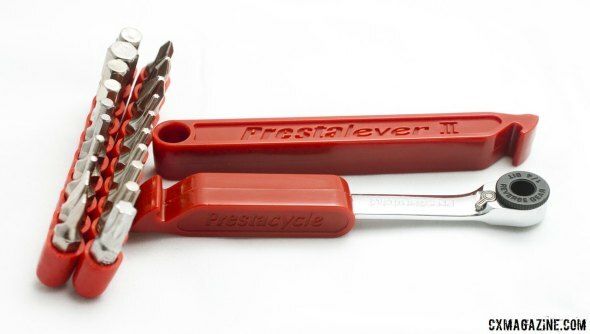 Certain bolts, like those hidden within a brake lever, may be out of reach, but Prestacycle has already realized this and offers the $9.95 Long Bicycle Bit Set for theses situations (we did not test this option). 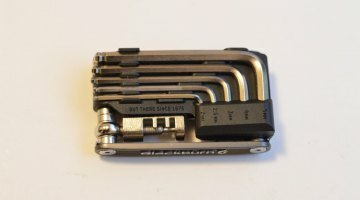 The ratchet also doesn’t offer a socket to adjust common 8, 9 and 10mm bolts, but it does come with a 1/4″ socket adapter, should you already have sockets for such bolts. Perhaps my biggest complaint, and it’s admittedly a pretty minor one, is that certain bits are pretty hard to pull out of the handy red holder. The tapered heads of the flat screwdriver heads, and the small hex sizes, leave little room for bare fingers to get a good enough grip to pull them out, and if it’s cold outside and you’re wearing gloves, forget about it. 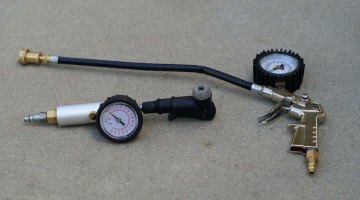 It’s also worth noting that while the tool can speed up some jobs, making it useful in the pits, as with any bit-dependent device, the little pieces can get lost in the muck of a pit should you drop one—something that is a lot harder to do with a clunky multi-tool or even a full-size Allen key. So you’ll still want to keep a traditional multi-tool around as a backup should your rider have a National Championship title on the line. 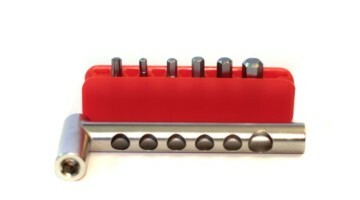 Prestacycle also sells a $1.95 torque wrench adapter that allows the Prestaratchet bits to be used with 1/4″ socket torque wrenches, allowing you to use its 20+ bits in a torque wrench and protect all the carbon and alloy components that specify torque on its bolts. i’d say check out a leatherman skeletool cx with bit set and bit driver. x.